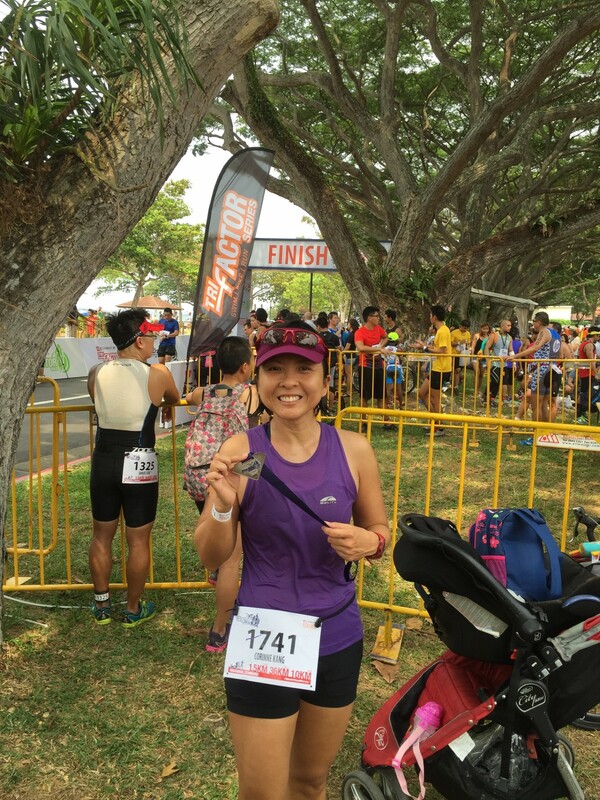 Race Review: Tri-Factor Triathlon 2015 (by 'hedgiebunny') | JustRunLah! 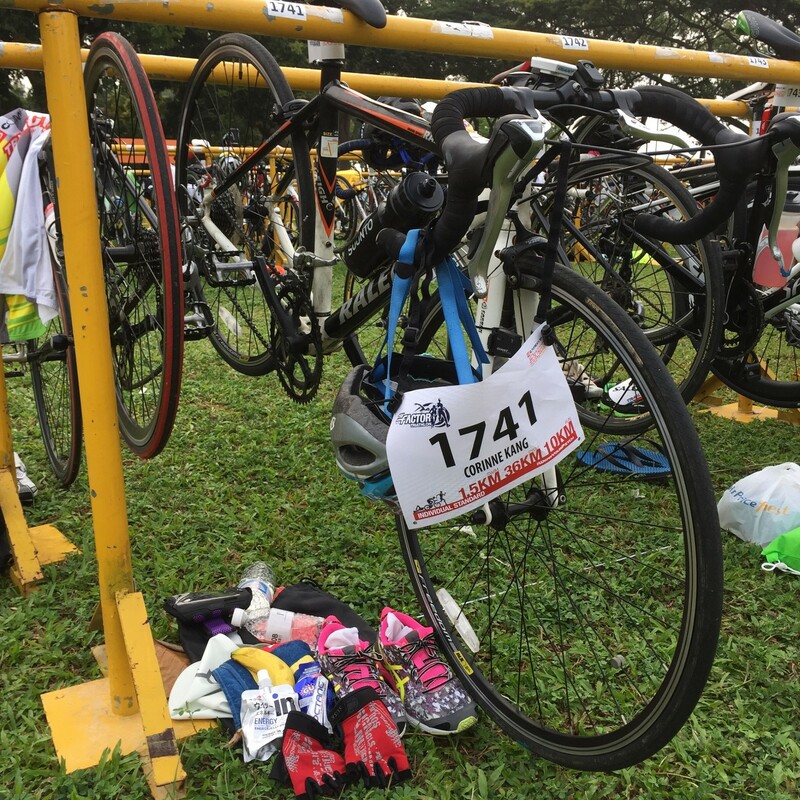 My last blog post was in May where I attended a Triathlon Training Clinic conducted by MetaSport in anticipation of participating in my first standard triathlon. On 23 August 2015, I finally did it – 1500m swim, 36km bike and 10km run (in this order) at the final event of the TRI-Factor Series. Without much training (yes, am an official “racer” i.e. I usually exercise by signing up for races :P), I was obviously feeling the jitters as I awaited my turn to start the swim. The sky was cloudy, the waves looked choppy, and the men who started before me looked tired as they completed their first round of the swim and were heading for their second round. Usually, my swim is my strongest leg but somehow today, the sea looked intimidating. Nevermind, I was trying to tell myself… it should be mind over matter… so I told myself to “start strong, and finish strong”. Indeed, the swim leg was the most challenging as the waves were very choppy and every breath could lead to one swallowing loads of sea water if not careful. In fact this was most sea water I had ever drunk (lucky I didn’t get diarrhea after)! The frequent bobbing up and down was making me a little dizzy but I kept my focus and all I could think of was to quickly finish up the two rounds in the sea. The bike leg was the smoothest for me as this was where I felt I could catch my breath and drink up as much as possible. I kept paddling on, maintaining a consistent pace and saving some stamina for the last leg. The bike to run transition was much faster for me (as compared to the post-swim leg) and I felt I was ready to complete the 10km run. I was thankful for the cloudy weather as I can never run in the heat of the sun. Even then, with every water station, I would be pouring water over my head to cool down and also drink up. 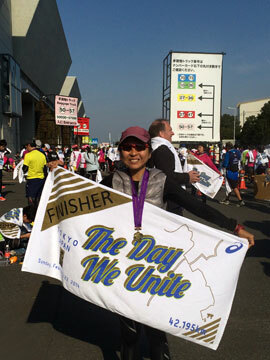 I ran at a consistent pace, and again, the focus was the finish the two rounds before the sun grew hotter as it approached the mid-day. I was very happy and finished strong when I strode across the finishing line, and collected my first (standard) triathlon medal. The final medal in a series of four. Click here for more post from Hedgiebunny. Well done and congratulations on finishing your maiden Standard Distance Triathlon!! Keep Tri-ing!!! Thank you for your encouragement, Jerry 🙂 U too, stay healthy and keep fit! Thank you for the article. 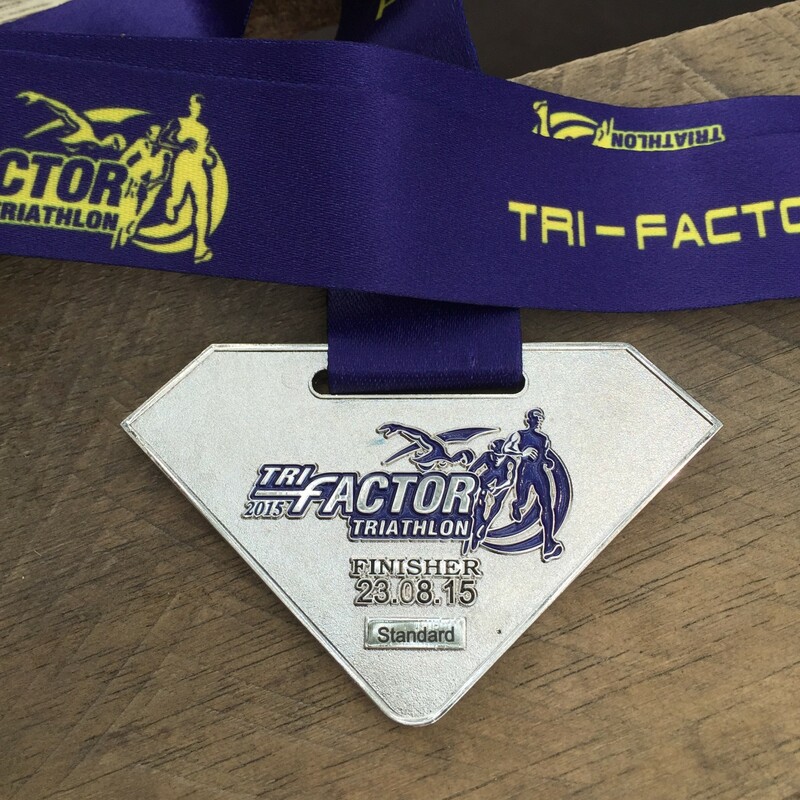 Its quite encouranging for a guy like me who is gonna attempt first Tri-thlon in 2016.